Cinco de Mayo is an important holiday among Mexican people. Celebrate with these joyous events by dressing up your part. But wait! How do you dress up for Cinco de Mayo? If you are not so sure how, then feel free to wear Cinco de Mayo hats. The celebration of Cinco de Mayo takes place on May 5. This event commemorates the Mexican Army’s triumph at the Battle of Puebla over the French army on the same day in 1862. In the U.S., this festive event has taken on to be a celebration of Mexican-American life. Cinco de Mayo can be celebrated rightly with fitting attire: Cinco de Mayo Season and Holiday Hats and other apparel celebrating the season and holiday. With Cinco de Mayo apparel, one will never be missing out on the momentous holiday. Wear these at a Cinco de Mayo party or give one as a gift to a family member. The sombrero is a perfect example of Mexican culture and a symbol of Cinco de Mayo, its significance being that it is a popular wide-brimmed hat with Mexican origins. A more modern approach to apparel for this holiday is caps decorated with Cinco de Mayo pictures and symbols. 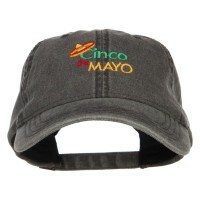 No matter the type of hat or accessory, Cinco de Mayo apparel is sure to add festivity to the next family party. Cinco de Mayo is a festive Mexican celebration of the country’s independence. And since the United States has a large Latin population, we salute this holiday with our Cinco de Mayo hats. Get large sombreros and flags to celebrate with them. 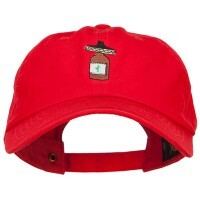 Just like other holiday hats like Easter Hats, Cinco de Mayo hats come with designs that are relevant for the occasion. The best thing about holiday hats is that they are also practical so whether you are wearing Halloween Hats or New Year Hats, you will get the same protection from the sun just like ordinary hats. Cinco de Mayo hats are also great gift items so even if you are not Mexican, you can still get one to give out to your beloved Latino friends. Speaking of gifts, there are other holidays hats that you can give out as gifts and one of them are Valentine’s Day Hats as well as Thanksgiving Hats. Cinco de Mayo is one of the most celebrated holidays in Mexico and these hats will surely bring all the fun from Mexico wherever you are in the country.